More and more universities in China are offering LLM programs and other postgraduate law degree programs. The best known universities with a law program include China University of Political Science and Law, KoGuan Law School of Shanghai Jiao Tong University and Renmin University of China. There are also some European law schools that are developing LLM programs, where part of the course is delivered in China. Several LLM programs are offered in English. Sometime some classes will be in Chinese. There may also be an opportunity for foreign students to take Mandarin classes. Popular study locations include Beijing, Shanghai and Hong Kong. Many law schools have a strict application process. Any applicant to the LLM program must fulfill a range of requirements. There are a range of scholarships available to local and international students to study in China. Bursaries, scholarships, grants and awards are offered by government, trusts, charities, employers and certain interest groups. Some of the scholarships are merit based. Competition to be awarded an LLM scholarship is strong, particularly for programs at top law schools. Student accommodation may be available on campus. Sometimes the university offers an accommodation service, that can provide advice on housing. Important and popular law specializations include education, energy, financial services, food and beverage, public sector, healthcare, life sciences, hospitality and leisure, insurance, media, sport and entertainment, real estate, retail and technology. Many of these sector undergo quite a significant change at the moment. 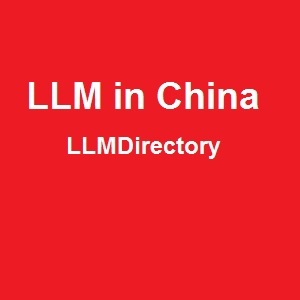 Top LLM Specialisations selected by students studying in China include LLM in Chinese Law.